Henri Murger was 23 years old when he started writing Scènes de la vie de bohème and Théodore Barrière was 25 when he adapted the work for the stage. Both men knew very well the world they were describing, so there is a raw authenticity about their efforts that requires an interpreter to take these young characters and their plight very seriously. Nothing very much happens in La Bohème – four young artists share a garret apartment, two of them have lovers, one of whom is seriously ill. These relationships founder – from jealousy and infidelity – and then one of the girls dies. It is all very real and intensely sad – but not the stuff of genuine tragedy. In fact, the essential tone of La Bohème is comedic. Although dirt poor and struggling artistically, these witty, mocking, irreverent students take life in their stride. Were it not for the intensity with which they suffer emotionally, Bohème would be an outright comedy with a sad ending. But this is a drama with a distinctly French ingredient – it is the same essential mixture of emotions that Balzac achieved in his Comédie humaine – genuine laughter, sometimes angry, sometimes joyous but always mixed with tears. Herein lies the true genius of Puccini’s achievement. By giving every one of Murger’s characters a real musical specificity, Puccini allows them to move from laughter to tears and back again with effortless ease – and his orchestral background overflows with the most lovingly crafted detail in support of their complex emotional journeys. For this production, designer David Farley and I have chosen to imagine that the characters of the opera may act as our interpreters. If Schaunard, the composer, is represented in the pit by Puccini himself, the scenic world that the bohemians inhabit is as if painted by Marcello. 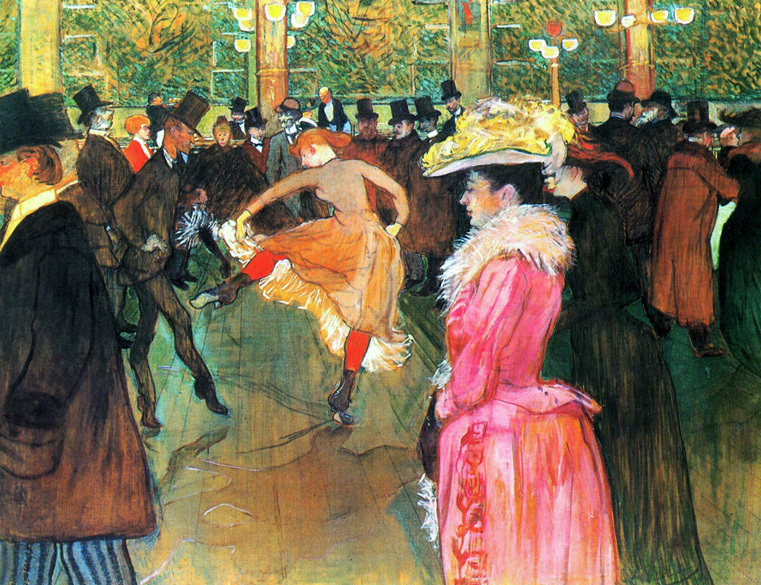 Every surface of the set is a canvas drawn from the same rich and chaotic pictorial world as that of Toulouse-Lautrec – a contemporary of Puccini and an artist who was himself obsessed by the bohemian underworld of Paris. 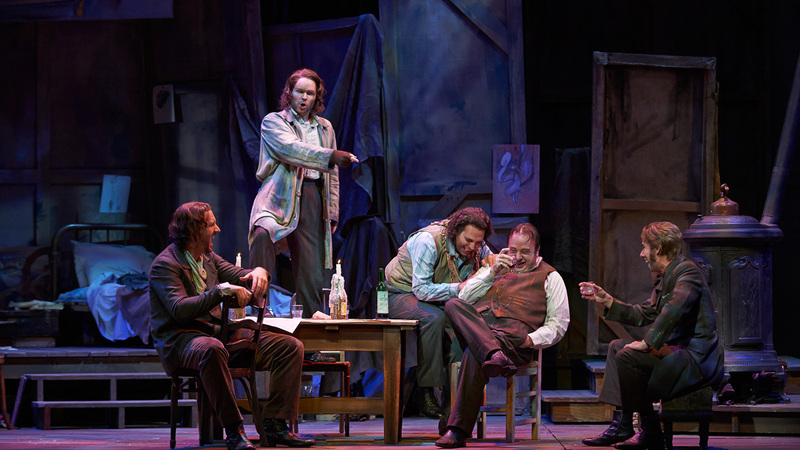 We only get a brief glimpse of the lives of the artists in Bohème, but we can be allowed to imagine that these young men may turn out to be influential figures in their own right. The lives of so many artists start out in desperation, poverty and disappointment before they realize their full potential – and their intimate friends and muses, if they survive, can bear witness to the reality of these early struggles. The two muses in Bohème represent two very different aspects of this witness. Musetta is an intensely practical young woman who knows that she must sell herself in order to live in any sort of comfort – despite the fact that she clearly adores Marcello. Mimì is a different case altogether – the minute she walks into the garret she brings mystery, beauty and stillness with her. Puccini allows himself to linger over her dreams and those of Rodolfo – and these dreams provide us with the emotional heart of the work. Murger and Puccini are both saying the same thing, one with words and the other with music. Life can be harsh, and unfair and horribly brief – but it can always be mitigated by beauty – the beauty of a face, or a dream, or a mind or a melody. Love and art will always prove more powerful than death. 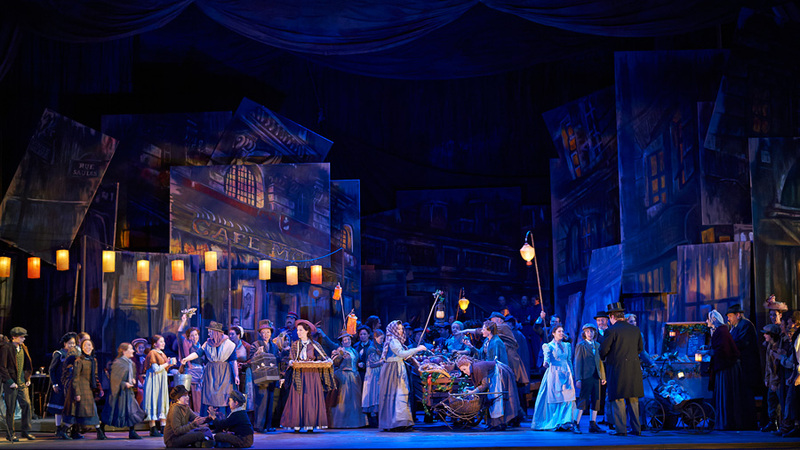 Join us for Puccini's La Bohème, on stage from April 17 to May 22, 2019. Take your culture game to the next level, with our monthly eOpera. 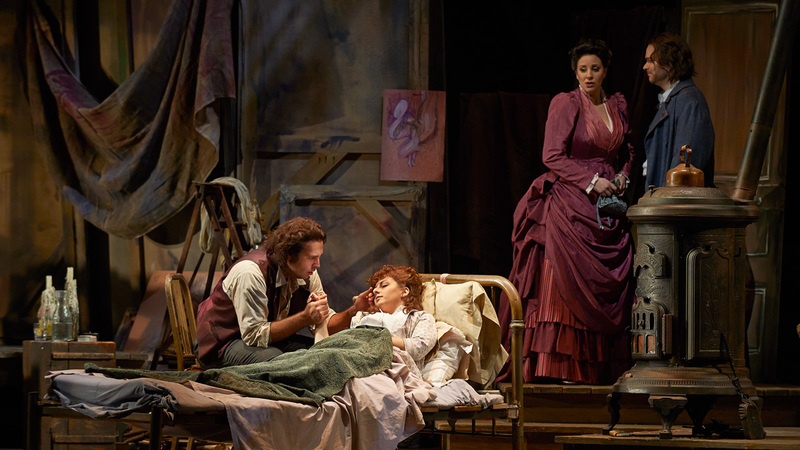 Photo credits (top to bottom): A scene from La Bohème (COC, 2013); (l-r) Dimitri Pittas as Rodolfo, Grazia Doronzio as Mimì, Joyce El-Khoury as Musetta, and Joshua Hopkins as Marcello in La Bohème (COC, 2013); (l-r) Christian Van Horn as Colline, Joshua Hopkins as Marcello, Dimitri Pittas as Rodolfo, Thomas Hammons as Benoît, and Phillip Addis as Schaunard in La Bohème (COC, 2013); All photos by Michael Cooper. Thank you for commenting. Your comment has been submitted for approval. Oh oh! Something went wrong. Please try again later.